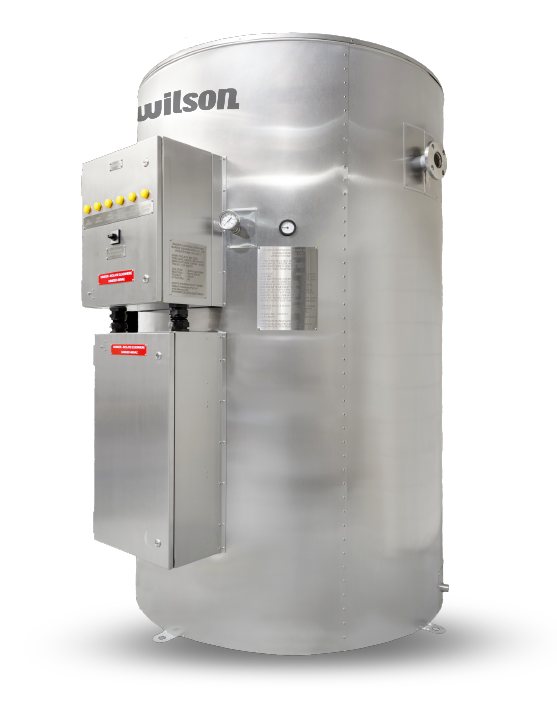 Wilson Hot Water manufactures high quality, long service life vessels for projects that require large commercial/residential hot or chilled water storage. Installations such as Hospitals, Hotels, Nursing Homes will benefit from the small foot print offered by the Wilson Stainless Steel Storage Vessels. The MPISV (Mains Pressure Industrial Storage Vessel) is manufactured in sizes ranging from 400 litres through to 5000 litres and can be heated by boiler, calorifier bundle, copper heat exchange coils, solar thermal, heat pump and /or electric elements.